This selection comes from a great 20th century theologian, Fr. 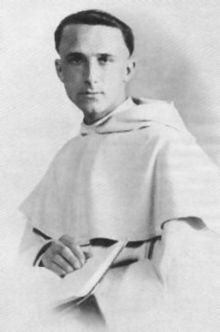 Reginald Garrigou-Lagrange (pictured above as a young priest). Fr. LaGrange was born in 1877 in the southwest of France. Although he started out pursuing a medical career at the University of Bordeaux, in 1896 he quickly became enthralled with Catholicism after reading a book by the Catholic philosopher Ernest Hello. He changed course and joined the Dominican order when he was just 20 years old and was ordained a priest five years later, in 1902. His fellow Dominicans introduced Fr. Lagrange to the writings of St. Thomas Aquinas, which further reinforced his faith. He would later become known as a celebrated Thomistic scholar, in studying and teaching the writing of the great “Angelic Doctor”. After further study at the Sorbonne in Paris, he taught philosophy at the house of the French Dominicans from 1906 to 1909. His teaching skills there were so impressive that in 1909 he became a teacher at the Angelicum, the Dominican University in Rome. In 1917 the Angelicum created a special professorship for him in aesthetical and mystical theology, the first of its kind in the world! He taught three subjects at the University for the next fifty years: Aristotle (a major influence on Aquinas), apologetics (the explanation and defense of our faith) and spiritual theology. Like St. Thomas, he possessed the gift of making complex concepts understandable and even riveting in his lectures. He always sought out the truths of our faith, taking great care not to be swayed (or to sway others!) into bending authentic Catholic teaching to suit the times. As a university professor he often supervised doctoral students, including one Karol Wojtyla better known to us today as Saint John Paul II! In spite of his international renown, he never lost his sense of humility and service. He even had a box in his room for his visitors to contribute for alms for the poor which he would then give out himself around Rome. Fr. Lagrange passed away in 1964, leaving behind a sizeable body of work, including 28 books (several of which are available through Tan Books) and over 600 articles. The selection below “Providence and Prayer” is Chapter 18 from his book entitled “Providence”. first published in 1932. It reflects its author’s strong conviction that we don’t have to be mystics or saints to be more deeply united with our Creator. He maintained that all baptized are invited to a life filled with both virtue and a close union with God through prayer. When we reflect on the infallibility of God's foreknowledge and the unchangeableness of the decrees of providence, not infrequently a difficulty occurs to the mind. If this infallible providence embraces in its universality every period of time and has foreseen all things, what can be the use of prayer? How is it possible for us to enlighten God by our petitions, to make Him alter His designs, who has said: "I am the Lord and I change not"? (Mal. 3: 6.) Must we conclude that prayer is of no avail, that it comes too late, that whether we pray or not, what is to be will be? On the contrary, the Gospel tells us: "Ask, and it shall be given you" (Matt. 7: 7). A commonplace with unbelievers and especially with the deists of the eighteenth and nineteenth centuries, this objection in reality arises from an erroneous view as to the primary source of efficacy in prayer and the purpose for which it is intended. The solution of the objection will show the intimate connection between prayer and providence, since (1) it is founded upon providence, (2) it is a practical recognition of providence, and (3) it co-operates in the workings of providence. We sometimes speak as though prayer were a force having the primary cause of its efficacy in ourselves, seeking by way of persuasion to bend God's will to our own; and forthwith the mind is confronted with the difficulty just mentioned, that no one can enlighten God or prevail upon Him to alter His designs. As clearly shown by St. Augustine and St. Thomas (IIa IIae, q. 83, a. 2), the truth is that prayer is not a force having its primary source in ourselves; it is not an effort of the human soul to bring violence to bear upon God and compel Him to alter the dispositions of His providence. If we do occasionally make use of these expressions, it is by way of metaphor, just a human way of expressing ourselves. In reality, the will of God is absolutely unchangeable, as unchangeable as it is merciful; yet in this very unchangeableness the efficacy of prayer, rightly said, has its source, even as the source of a stream is to be found on the topmost heights of the mountains. In point of fact, before ever we ourselves decided to have recourse to prayer, it was willed by God. From all eternity God willed it to be one of the most fruitful factors in our spiritual life, a means of obtaining the graces necessary to reach the goal of our life's journey. To conceive of God as not foreseeing and intending from all eternity the prayers we address to Him in time is just as childish as the notion of a God subjecting His will to ours and so altering His designs. Prayer is not our invention. Those first members of our race, who, like Abel, addressed their supplications to Him, were inspired to do so by God Himself. It was He who caused it to spring from the hearts of patriarchs and prophets; it is He who continues to inspire it in souls that engage in prayer. He it is who through His Son bids us, "Ask, and it shall be given you: seek and you shall find: knock, and it shall be opened unto you" (Matt. 7: 7). The answer to the objection we have mentioned is in the main quite simple in spite of the mystery of grace it involves. True prayer, prayer offered with the requisite conditions, is infallibly efficacious because God has decreed that it shall be so, and God cannot revoke what He has once decreed. It is not only what comes to pass that has been foreseen and intended (or at any rate permitted) by a providential decree, but the manner also in which it comes to pass, the causes that bring about the event, the means by which the end is attained. Providence, for instance, has determined from all eternity that there shall be no harvest without the sowing of seed, no family life without certain virtues, no social life without authority and obedience, no knowledge without mental effort, no interior life without prayer, no redemption without a Redeemer, no salvation without the application of His merits and, in the adult, a sincere desire to obtain that salvation. In every order, from the lowest to the highest, God has had in view the production of certain effects and has prepared the necessary causes; with certain ends in view He has prepared the means adequate to attain them. For the material harvest He has prepared a material seed, and for the spiritual harvest a spiritual seed, among which must be included prayer. Prayer, in the spiritual order, is as much a cause destined from all eternity by providence to produce a certain effect, the attainment of the gifts of God necessary for salvation, as heat and electricity in the physical order are causes that from all eternity are destined to produce the effects of our everyday experience. Hence, far from being opposed to the efficacy of prayer, the unchangeableness of God is the ultimate guaranty of that efficacy. But more than this, prayer must be the act by which we continually acknowledge that we are subject to the divine governance. The lives of all creatures are but a gift of God, yet only men and angels can be aware of the fact. Plants and animals receive without knowing that they are receiving. It is the heavenly Father, the Gospel tells us, who feeds the birds of the air, but they are unaware of it. Man, too, lives by the gifts of God and is able to recognize the fact. If the sensual lose sight of it, that is because in them reason is smothered by passion. If the proud refuse to acknowledge it, the reason is that they are spiritually blinded by pride causing them to judge all things not from the highest of motives but from what is often sheer mediocrity and paltriness. If we are of sound mind, we are bound to acknowledge with St. Paul that we possess nothing but what we have received: "What hast thou that thou hast not received?" (I Cor. 4:7) Existence, health and strength, the light of intelligence, any sustained moral energy we may have, success in our undertakings, where the least trifle might mean failure —all these are the gifts of Providence. And, transcending reason, faith tells us that the grace necessary for salvation and still more the Holy Ghost whom our Lord promised are pre-eminently the gift of God, the gift that Jesus refers to in these words of His to the Samaritan woman, "If thou didst know the gift of God" (John 4: 10). Thus when we ask of God in the spirit of faith to give health to the sick, to enlighten our minds so that we may see our way clearly in difficulties, to give us His grace to resist temptation and persevere in doing good, this prayer of ours is an act of worship paid to Providence. Mark how our Lord invites us to render this daily homage to Providence, morning and evening, and frequently in the course of the day. Recall to mind how He, after bidding us, "Ask and it shall be given you" (Matt. 7: 7), goes on to bring out the goodness of Providence in our regard: "What man is there among you, of whom if his son shall ask bread, will he reach him a stone? Or if he shall ask him a fish, will he reach him a serpent? If you then being evil, know how to give good gifts to your children: how much more will your Father who is in heaven give good things to them that ask Him?" (Matt. 7: 7, 9-11.) Our Lord's statement carries its own proof. If there is any kindness in a father's heart, does it not come to him from the heart of God or from His love? Sometimes indeed God might be said to reverse the parts, when through His prevenient actual graces He urges us to pray, to render due homage to His providence and obtain from it what we stand most in need of. Recall, for instance, how our Lord led on the Samaritan woman to pray: "If thou didst know the gift of God and who He is that saith to thee: Give me to drink: thou perhaps wouldst have asked of Him, and He would have given thee living water...springing up into life everlasting" (John 4: 10, 14). 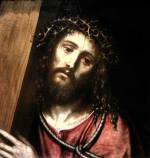 The Lord entreats us to come to Him; He waits for us patiently, always eager to listen to us. The Lord is like a father who has already decided to grant some favor to His children, yet prompts them to ask it of Him. Jesus first willed that the Samaritan woman should be converted and then gradually caused her to burst forth in heartfelt prayer; for sanctifying grace is not like a liquid that is poured into an inert vessel; it is a new life, which the adult will receive only if he desires it. Sometimes God seems to turn a deaf ear to our prayer, especially when it is not sufficiently free from self-interest, seeking temporal blessings for their own sake rather than as useful for salvation. Then gradually grace invites us to pray better, reminding us of the Gospel words: "Seek ye first the kingdom of God and His justice: and all these things shall be added unto you" (Matt. 6: 33). Indeed at times it seems that God repulses us as if to see whether we shall persevere in our prayer. 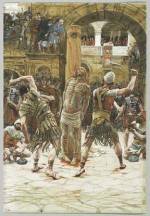 He did so to the Canaanite woman. The harshness of His words to her seemed like a refusal: "I was not sent but to the sheep that are lost of the house of Israel... It is not good to take the bread of the children and to cast it to the dogs." Inspired undoubtedly by grace that came to her from Christ, the woman replied: "Yea, Lord: for the whelps also eat of the crumbs that fall from the table of their masters." "O woman,” Jesus said, "great is thy faith. Be it done to thee as thou wilt" (Matt. 15: 23, 26-28). And her daughter was delivered from the demon that was tormenting her. When we really pray, it is an acknowledgment, a practical and not merely abstract or theoretical acknowledgment, that we are under the divine governance, which infinitely transcends the governance of men. Whether our prayer takes the form of adoration or supplication or thanksgiving or reparation, it should thus unceasingly render to providence that homage which is its due. Prayer is not in opposition to the designs of Providence and does not seek to alter them, but actually co-operates in the divine governance, for when we pray we begin to wish in time what God wills for us from all eternity. One who prays properly, with humility, confidence, and perseverance, asking for the things necessary for salvation, does undoubtedly cooperate in the divine governance. Instead of one, there are now two who desire these things. It is God of course who converted the sinner for whom we have so long been praying; nevertheless we have been God's partners in the conversion. It is God who gave to the soul in tribulation that light and strength for which we have so long with our co-operation and as the result of our intercession. The consequences of this principle are numerous. First, the more prayer is in conformity with the divine intentions, the more closely does it co-operate in the divine governance. That there may be ever more of this conformity in our prayer, let us every day say the Our Father slowly and with great attention; let us meditate upon it, with love accompanying our faith. This loving meditation will become contemplation, which will ensure for us the hallowing and glorifying of God's name both in ourselves and in those about us, the coming of His kingdom and the fulfillment of His will here on earth as in heaven. It will obtain for us also the forgiveness of our sins and deliverance from evil, as well as our sanctification and salvation. From this it follows that our prayer will be the purer and more efficacious when we pray in Christ's name and offer to God, in compensation for the imperfections of our own love and adoration, those acts of love and adoration that spring from His holy soul. A Christian who says the Our Father day by day with gradually increasing fervor, who says it from the bottom of his heart, for others as well as for himself, undoubtedly cooperates very much in the divine governance. He co-operates far more than the scientists who have discovered the laws governing the stars in their courses or the great physicians who have found cures for some terrible diseases. The prayer of St. Francis, St. Dominic, or, to come nearer to our own times, St. Teresa of the Child Jesus, had an influence certainly not less powerful than that of a Newton or a Pasteur. 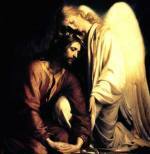 One who really prays as the saints have prayed, co-operates in the saving not only of bodies but of souls. Every soul, through its higher faculties, opens upon the infinite, and is, as it were, a universe gravitating toward God. Close attention to these intimate relations between prayer and providence will show that prayer is undoubtedly a more potent force than either wealth or science. No doubt science accomplishes marvelous things; but it is acquired by human means, and its effects are confined within human limits. Prayer, indeed, is a supernatural energy with an efficacy coming from God and the infinite merits of Christ, and from actual grace that leads us on to pray. It is a spiritual energy more potent than all the forces of nature together. It can obtain for us what God alone can bestow, the grace of contrition and of perfect charity, the grace also of eternal life, the very end and purpose of the divine governance, the final manifestation of its goodness. At a time when so many perils threaten the whole world [This in 1932, much like today in 2015! ], we need more to reflect on the necessity and sublimity of true prayer, especially when it is united with the prayer of our Lord and of our Lady. The present widespread disorder must by contrast stimulate us constantly to reflect that we are subject not only to the often unreasoning, imprudent government of men, but also to God's infinitely wise governance. God never permits evil except in view of some greater good. He wills that we co-operate in this good by a prayer that becomes daily more sincere, more humble, more profound, more confident, more persevering, by a prayer united with action, in order that each succeeding day shall see more perfectly realized in us and in those about us that petition of the Our Father: "Thy will be done on earth as it is in heaven." At a time when Bolshevism is putting forth every effort against God, it behooves us to repeat it again and again with ever deepening sincerity, in action as well as in word, so that as time goes on God's reign may supersede the reign of greed and pride.